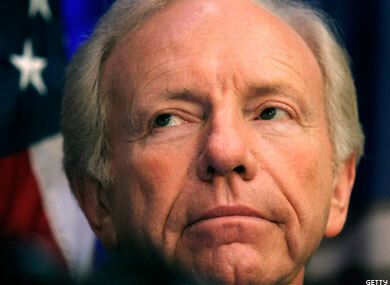 Sen. Joseph Lieberman summed it up best Thursday, suggesting that breaking next week’s potential GOP filibuster on the National Defense Authorization Act, which houses "don't ask, don't tell" repeal, depended almost entirely on a procedural showdown between Democrats and Republicans. Democrats must find 60 votes to break the filibuster the GOP is threatening to mount, meaning they will likely need to sway at least one or two Republicans to vote against their party. But Majority Leader Harry Reid and Minority Leader Mitch McConnell are playing a game of chicken over how many amendments Republicans will be allowed to offer once the Defense authorization bill reaches the floor, putting moderate GOP senators like Sen. Susan Collins in a bind. Collins, for instance, voted to attach the DADT repeal measure to the bill in the Senate Armed Services Committee and she also voted the bill out of committee — suggesting she might be likely to break with her party on a filibuster in order to bring the version of the bill she voted for in committee to the floor. But Thursday afternoon the senator’s spokesman indicated she was still on fence. "Senator Collins would like the Senate to proceed to a full and open debate on the defense Authorization bill, with members able to offer amendments on all relevant issues,” said Kevin Kelley. “She has spoken to Senator Reid and encouraged him to work with Republican leaders to negotiate such an agreement so that the bill could be brought to the floor." Majority Leader Harry Reid announced two amendments in particular this week that pertained to DADT repeal and the DREAM Act, a measure that would create a way for undocumented youths who came to the U.S. as children to gain permanent residency through either higher education or military service. The amendment on DADT would likely be a vote on whether to strip out the language (which would require 60 votes to pass), while the DREAM Act vote would settle whether the provision would be added to the defense authorization act. Sen. Carl Levin, chairman of the armed services committee, said he thought there was a misunderstanding generally on Capitol Hill that Reid was trying to entirely limit the number of amendments that could be offered by Republicans.